SAVI Northwest (SAVI) is a club organisation based in Merseyside. 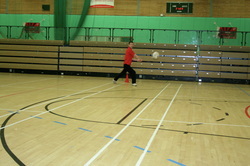 Our aim is to promote and develop inclusive sports opportunities for blind and partially sighted people. SAVI was set up in January 2009. Why not come and join us at Greenbank Sports Academy on Tuesday from 6pm till 8pm! !